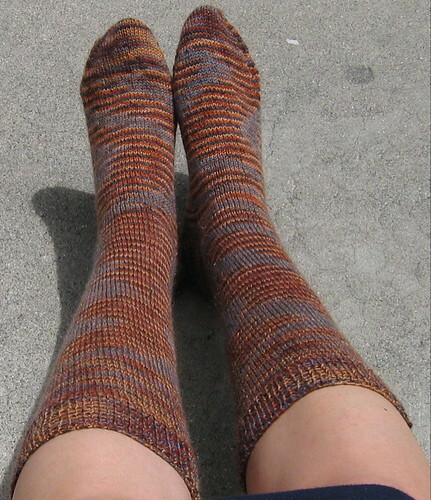 Rivendell socks -- pattern by Janel Laidman. Yarn is Schaefer Heather, lovely LOVELY merino/silk. 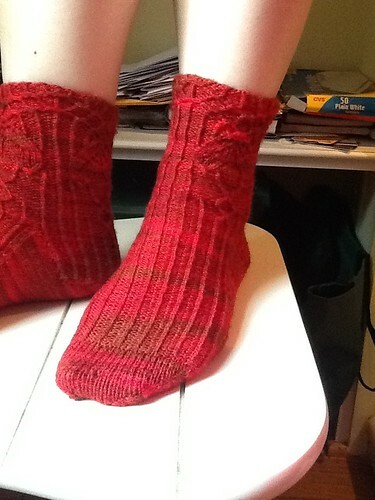 Knee socks knit following the recipe in the twisted sisters sock workbook. Schaefer yarn "Anne."